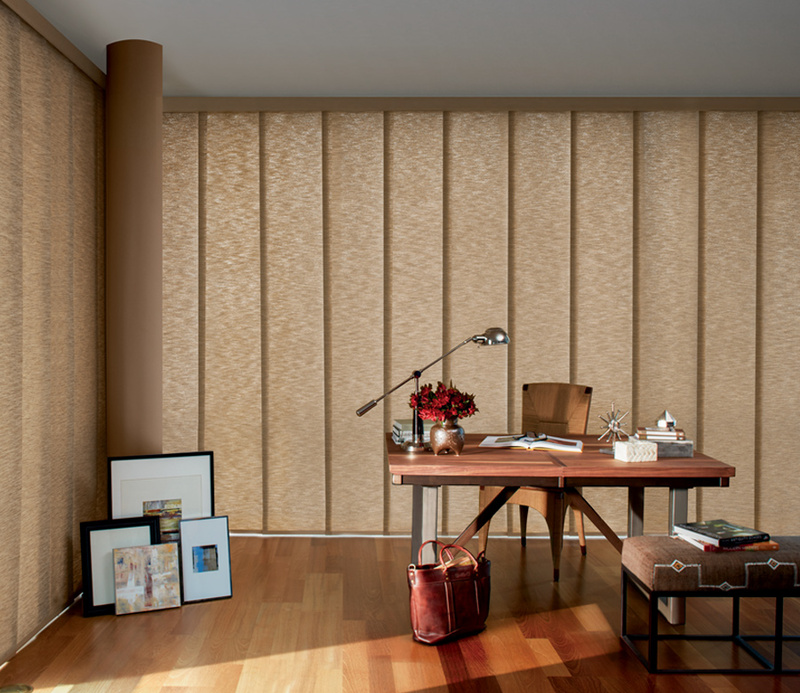 Appealing to contemporary design, gliding window panels from Hunter Douglas offer simplistic function and sleek styling. The wide slats are a modern look for panel track blinds that open up for convenient access to your outdoor space. 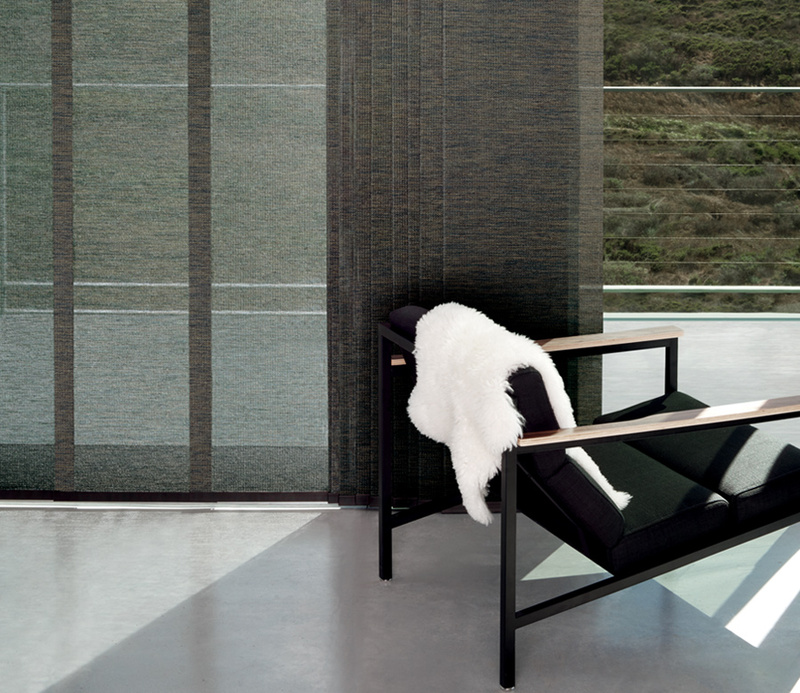 Cover sliding glass doors, immediately gaining privacy, light control and UV protection. 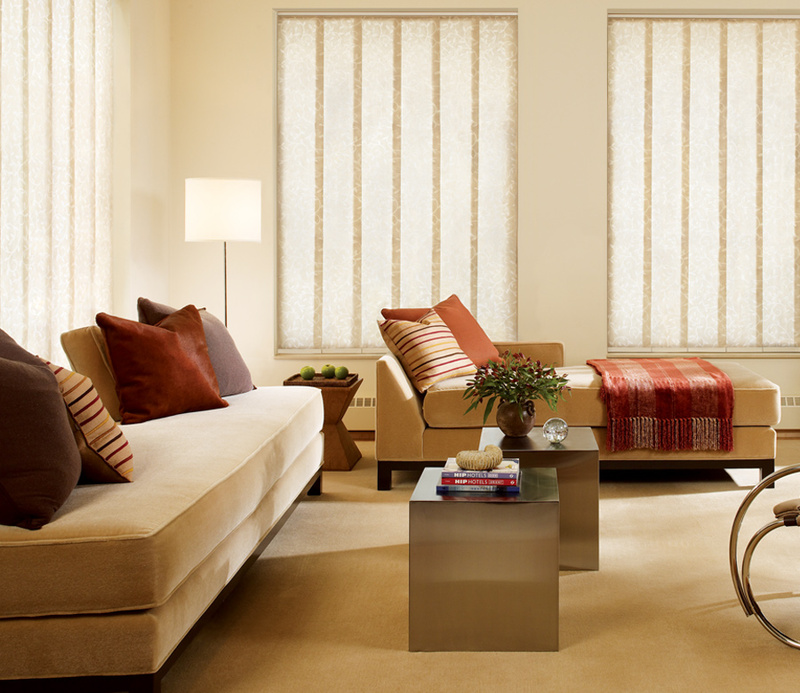 Ideal as motorized blinds, adjust your vertical shades at the touch of a button.